Owing to our expertise in this domain, we are engaged in offering an excellent quality array of Digital Flow Transmitter. This module is widely used for batching & dosing application and is can also be used as flow switch. The offered controllers are designed and manufactured using superior grade raw material with the help of most modern technology. 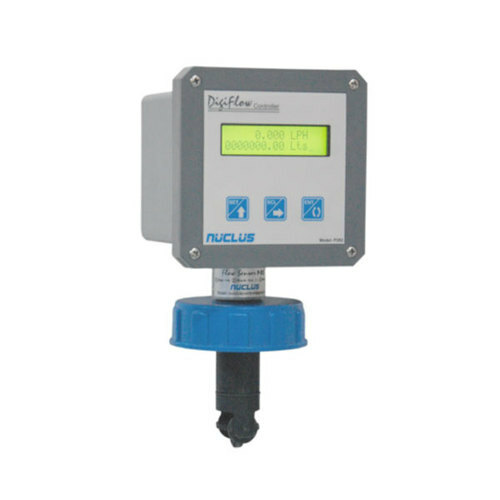 Additionally, this Field Mounting Digital flow Transmitter is presented in dissimilar technical specifications as per the requirements of the clients. We, Care Process Instruments are a renowned organization, engaged in manufacturing, exporting and wholesaling a quality range of Calibration Instruments. Our company has been established in 2007. Flow and Level Instruments, HVAC Instruments, Dead Weight Tester, Digital Pressure Gauge, Flow Switch, Cable Float Switch. Moreover, we also offer RTD / Thermocouple, Sika Thermometer, Temperature Controller, Pneumatic Calibration Pump, Rotary Encoder, Proximity Sensor. Our products are appreciated by our clientele for features like accuracy, consistent performance, corrosion resistance and low maintenance cost. Our product range is procured from leading manufacturers and suppliers of the best quality Process Instruments. In order to provide the most efficient products, we are assisted by our procurement agents who scout the market and select reliable vendors for us. They select our vendors on well-defined parameters like market credibility, financial standing, reputation and timely delivery.